A 70-year-old man has been remanded in custody after being charged with murdering a teenage girl in Birmingham 46 years ago. Anthony Hall is charged with the murder of Jacqueline Marie Thomas, 15, who is believed to have been sexually assaulted and then strangled. 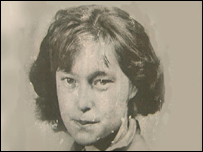 Her body was discovered at allotments in Bordesley Green, on 25 August, 1961. The arrest comes after a review of the case by detectives. Mr Hall would have been 24 at the time. Mr Hall spoke only to confirm his identity at the brief hearing at Birmingham Magistrates' Court. He was remanded in custody to appear at the city's Crown Court on 6 December.